Sunflower seeds are a rich source of vitamin E, which is a powerful antioxidant that protects cells from free radicals, potassium, magnesium, zinc, selenium and omega-3 fatty acids. The Mayo Clinic website reports that omega-3s may "significantly reduce blood triglyceride levels" and may also reduce the risk of heart attacks and heart disease and help prevent rheumatoid arthritis. Grinding seeds may make the nutrients more bioavailable, as small seeds may pass through your system whole without being digested. Grinding sunflower seeds also makes it easier to add them to foods such as oatmeal or fruit smoothies without changing the taste or texture of the food. You need special equipment to grind seeds. Use raw seeds removed from the shell. Raw sunflower seeds have more intact nutrients than roasted seeds, but for the best nutritional benefits, sprout your seeds before grinding, which may give them three times more nutrients, enzymes and minerals than unsprouted raw seeds according to the website Vegetarians in Paradise. Use a coffee grinder, blender, food processor or VitaMix to grind your sunflower seeds. Finely ground seeds can be used in smoothies, oatmeal, cereals and soups to add nutrients without changing the food's texture. Grind sunflower seeds when you need them as they don't store as well as whole seeds. If you do grind more than you need, store the ground seeds in a dark air-tight container in your refrigerator or freezer. 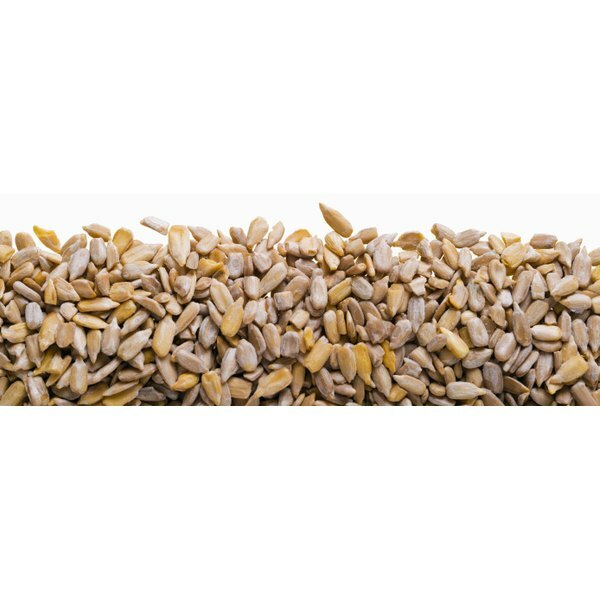 Coarse ground sunflower seeds add texture to baked goods or homemade granola. Buy organic sunflower seeds because pesticides concentrate in fats--sunflower seeds are high in omega-3 fatty acids.